Looking to refine your style? Tired of wearing the same outfits over and over but your closet is overflowing? You are not alone. Most people utilize only 25-30 percent of their wardrobe. If you want to manage your wardrobe effectively, streamline it. 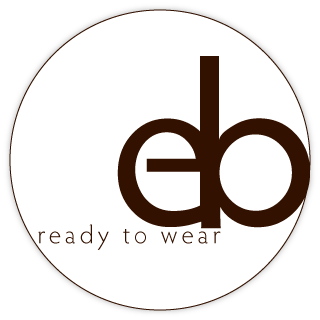 eb ready to wear will help you streamline your wardrobe top to bottom. With a professional wardrobe consultant and stylist, the streamlining process will be efficient and effortless. Hiring a professional to inspire and coach you through the process, while providing fresh ideas to your existing wardrobe, is the most sound investment you can make in tough economic times. A seasoned professional cuts through the clutter. They will apply years of experience to make the process go quickly and provide an intuitive sense of what will be right for you. A trained professional consultant can make necessary edits to your closet. They will help you select the correct colors, styles, brands and cuts of clothes best suited for your lifestyle.